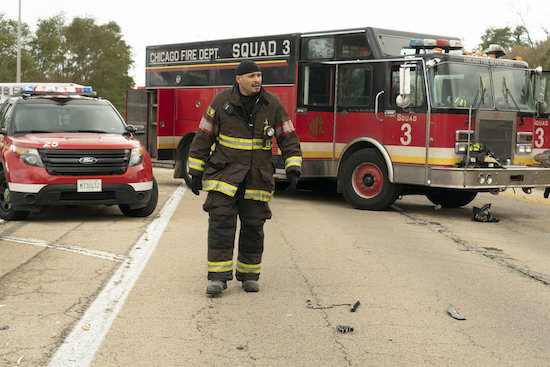 As CHICAGO FIRE’s fall finale delivers one of the biggest catastrophes the squad has faced, the accident hits close to home for Cruz (Joe Minoso). And the danger won’t be contained to the the accident: Casey (Jesse Spencer) and Naomi’s (Kate Villanova) investigation takes off, both personally and professionally. Things aren’t as smooth for Severide (Taylor Kinney), who has been struggling in the aftermath of his father’s death.